The Needham Water & Sewer Division is offering Rain Barrels and Soil Moisture Sensors for purchase at the Department of Public Works Building. 60 gallons stands 39" tall by 24" wide, weighs 20 lbs. empty, food grade, UV protected, highly durable, 3/16" polyethylene, green. The rain barrel takes minutes to set up. The spigot, overflow valve, hose, and complete directions are packaged inside the barrel. All you need to do is prepare the downspout, insert the spigot, and overflow fittings into the pre-drilled holes and wait for rain! They irrigate your lawn and garden During the summer months it is estimated that nearly 40 percent of household water is used for lawn and garden maintenance. A rain barrel collects water and stores it for those times that you need it most — during the dry summer months. Using rain barrels potentially helps homeowners’ lower water bills, while also improving the vitality of plants, flowers, trees and lawns. The average rainfall of one inch within a 24-hour period can produce more than 700 gallons of water that runs off the roof of a typical house. Much of this water runs from gutters onto surfaces that do not allow water to soak into the ground. These are called impervious surfaces and include concrete, asphalt, and compacted soil. Even commonly used sod has a very low infiltration rate and can be a major cause of increased runoff. 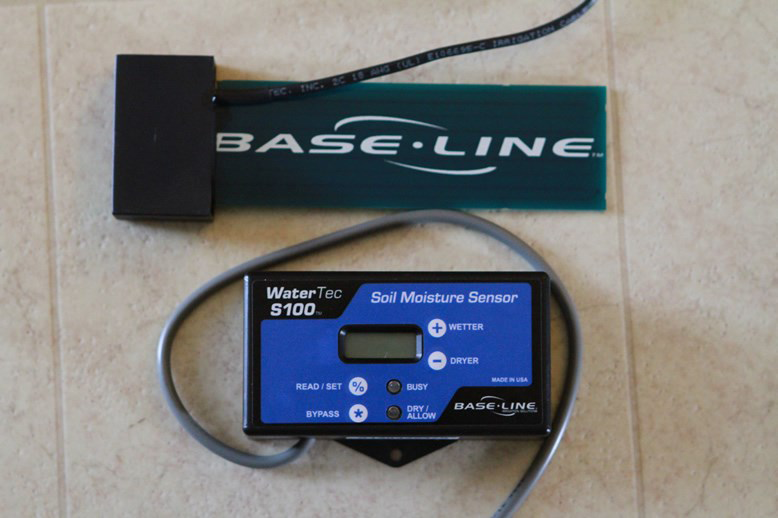 A Soil Moisture Sensors (SMS) is a sensor connected to an irrigation system controller that measures soil moisture content in the active root zone before each scheduled irrigation event and bypasses the cycle if soil moisture is above a user-defined set point. SMSs function similarly to rain sensors by bypassing irrigation events under rainy conditions, but by measuring soil moisture at the root zone they are more effective at minimizing irrigation when plants do not need additional water. In addition to conserving water, soil moisture sensors can also prevent issues like fertilizer runoff and will protect surrounding waterways.